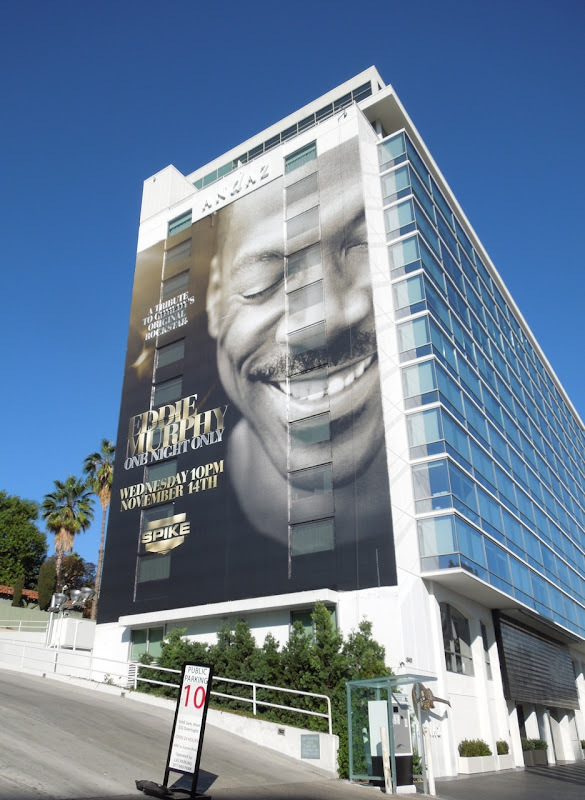 There's nothing like starting the week with a giant billboard to show you how cool and impactful an ad can look in the right location and on a massive scale. 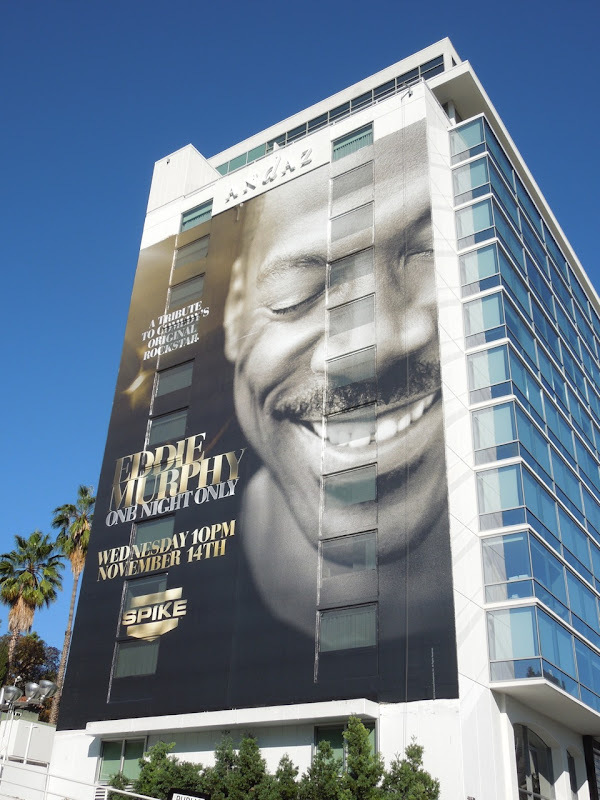 Obviously it helps greatly if the weather is accommodating and there are clear blue skies to perfectly frame the super-sized creative, like in this instance for the Eddie Murphy One Night Only special event airing on Spike TV. 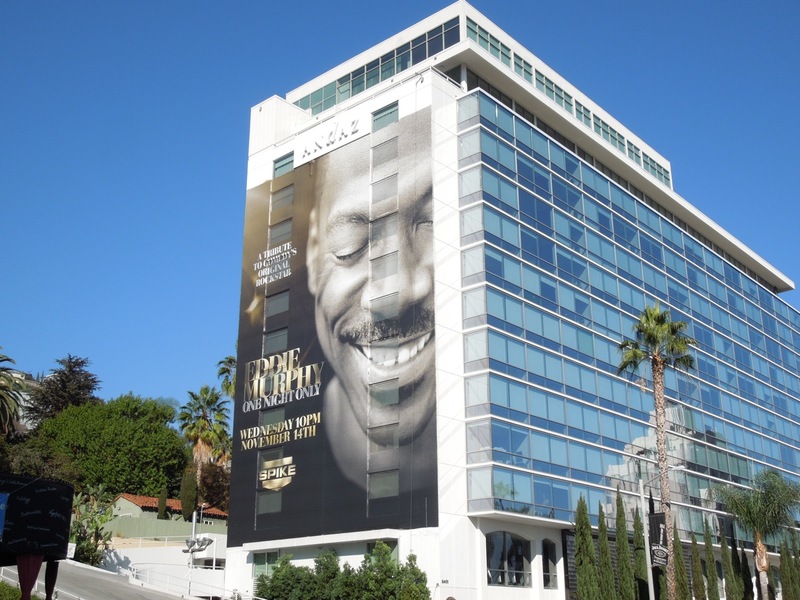 Some of comedy's biggest stars come out to pay tribute to the stand-up comic turned blockbuster Hollywood superstar, famous for such delights as Beverly Hills Cop, Trading Places, Coming to America and even the hilarious voice of 'Donkey' from the Shrek animated films. 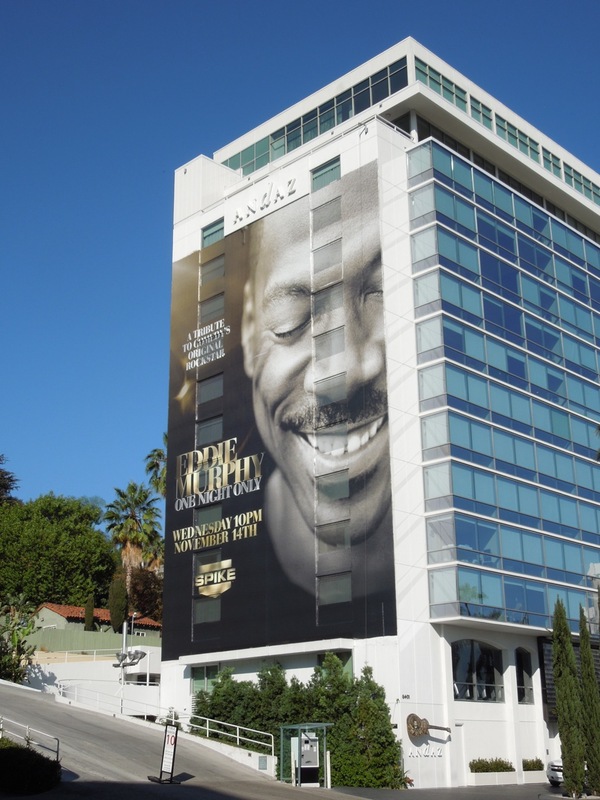 This spectacular creative was snapped on the side of West Hollywood's Andaz Hotel along Sunset Boulevard on November 3, 2012. Rather bizarrely another giant billboard appeared briefly further west along The Strip, but never seemed to be fully completed before it was taken down. 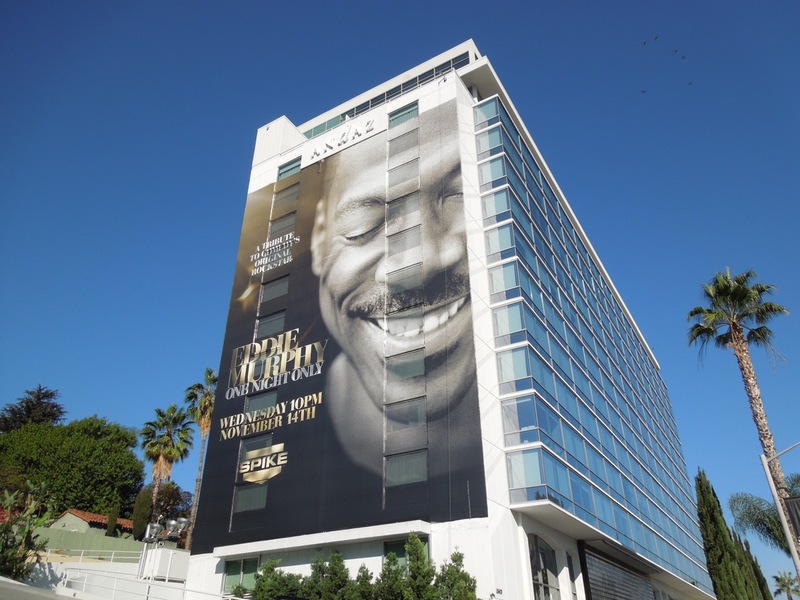 Check out more billboards starring Eddie Murphy, including these Tower Heist movie billboards and ads for A Thousand Words.